I'm not sure I could use another PD chargers. I have the Pp PD2, and the only thing that charges with USB is my Powercore slim.. Until Apple switches their phones over, all their phones, I honestly don't know what I would use it for other than just to see how I could use it. If you know what I mean. There is a USB-C Port in my laptop but I have no idea what it does, I've tried everything. lol That being said it doesn't mean I wouldn't use/need one in the future. I appreciate the breakdown even if @nigelhealy has a point. You are #anker that means something, or should. 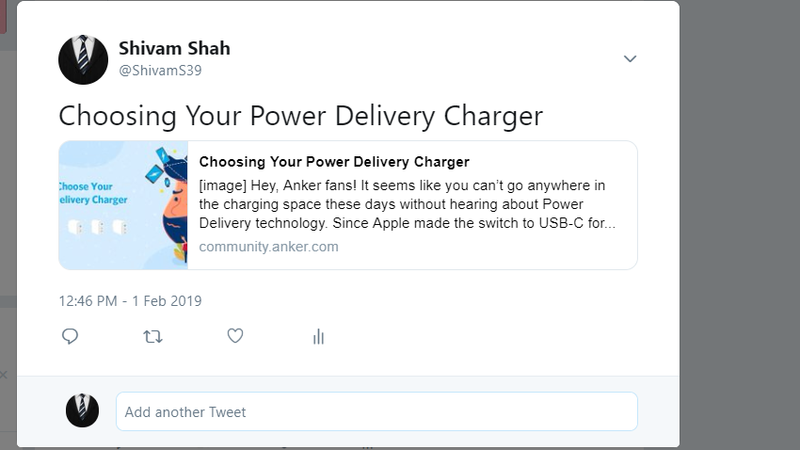 When people think of chargers and electronics, in general, they should always want to check to see if #anker or one of the other companies i.e #roav, has it first. Advertising a thing isn't the same as the thing performing as advertised. Again, don't get me wrong I love you guys and this community. All I am saying is I believe you CAN do better. Everything you make is incredible and some things are innovative. I would be happy to see you do more things like the Wakey because it is different. 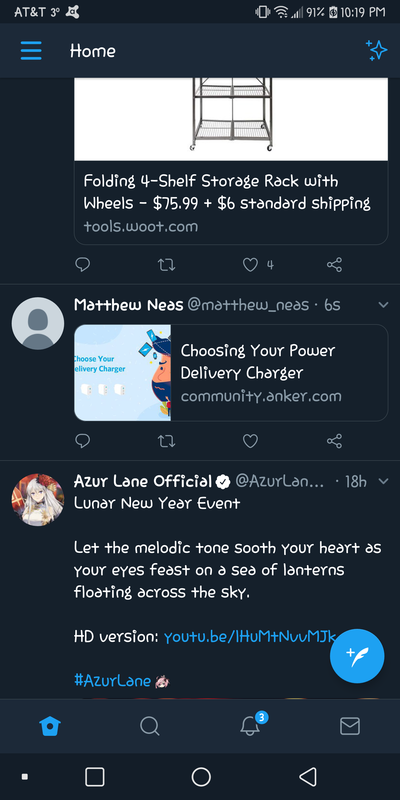 Anyway, the 3 multi-port chargers of yours I own are amazing, I just want to see what kind of completely new things you come up with! EDIT- Now that the C-lightening has been released I’m all about finding a portable PD charger. 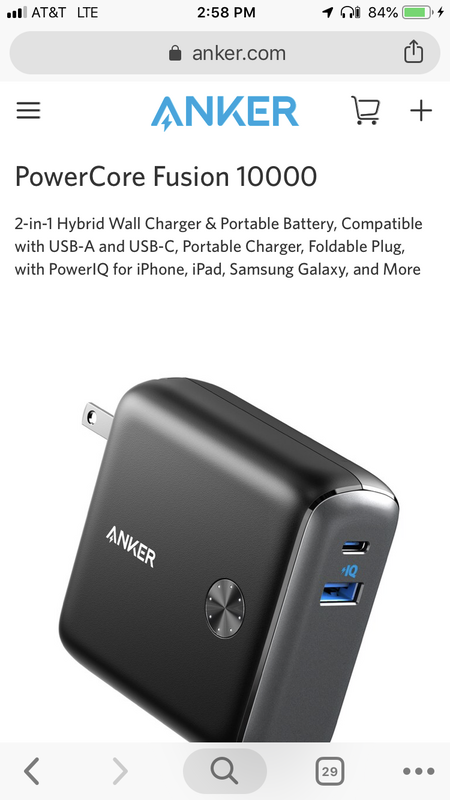 I’m wondering @AnkerOfficial @nigelhealy is the fusion consider PD? 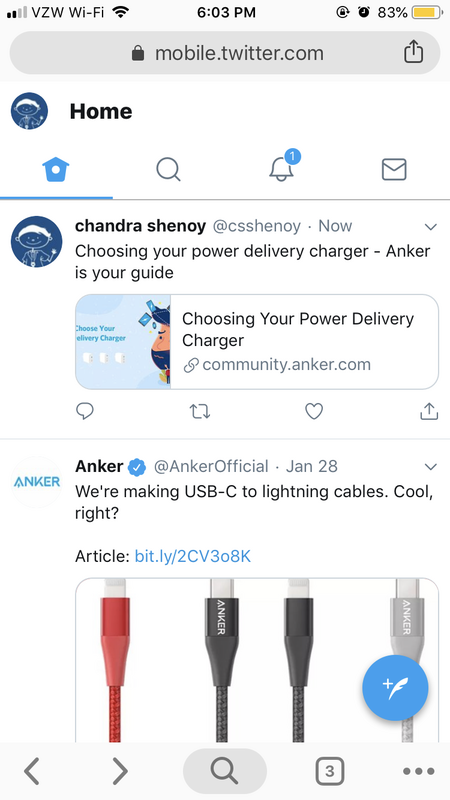 This is an excellent post @AnkerOfficial - Many of us in the community spend time learning about this out of personal interest and still have questions about these topics. Ordinary users of this technology have no idea at all about these specs, thank you for posting! Time to get on the ball with all the new techs out there.......wishlist. Quality info/breakdown - thank you! Multiport chargers are truly helpful vs the handful of single chargers I'd otherwise pack/carry... combining PD with IQ/quick charge makes for icing on a very appealing cake! This is very informative! I use a 30W charger for most of my Electronics items. Need more guides like these. People really seem to be lost when they make purchases. Just opened an account and posted it. Good luck guys!! 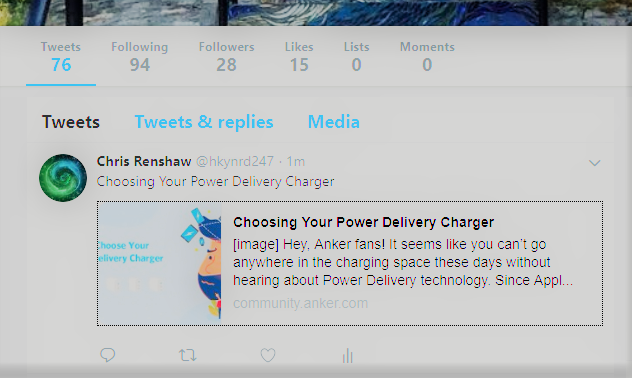 @AnkerOfficial I don’t have twitter or Facebook. Can I share it on reddit instead? Could really use this for my XPS 15! What is the estimated price of the PD4? 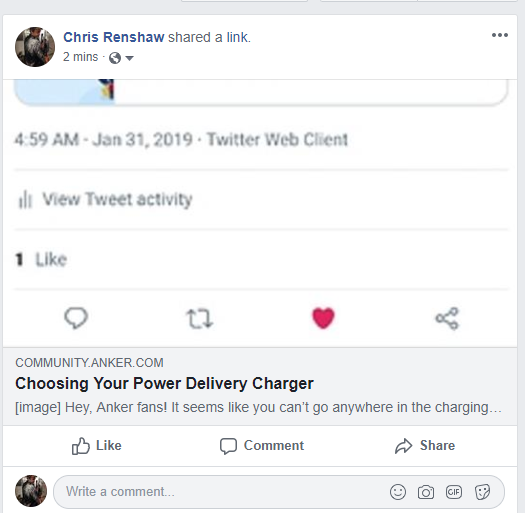 This is a really informative post @AnkerOfficial! 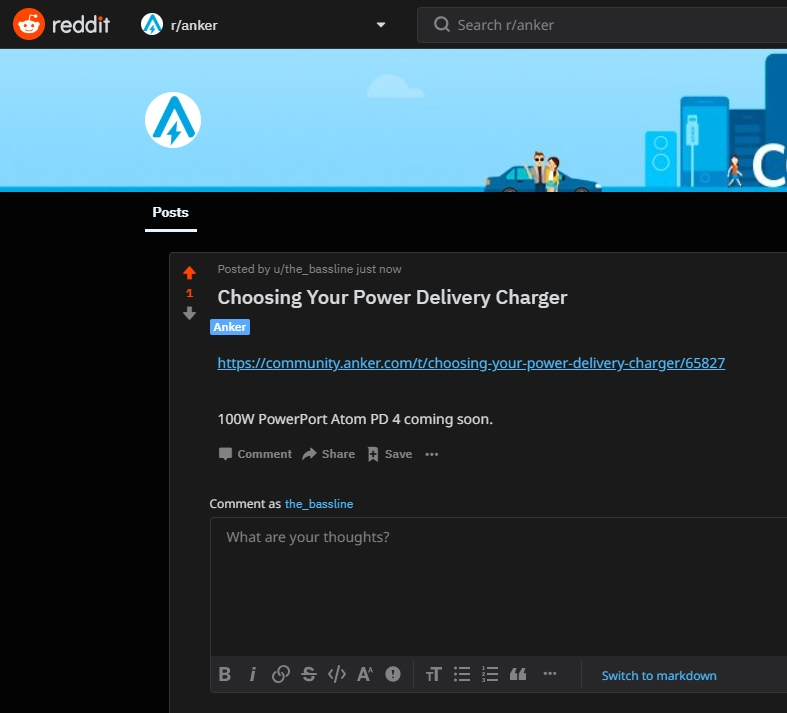 I was very confused about the differences between PD chargers you have. Shared it on my Twitter page. Would be a nice thing to have for my next laptop!